The demand for cloud computing platforms and services continues to rise, and it shows no signs of slowing down. According to a study by IDC, worldwide spending on public cloud computing will increase to $162B in 2020. 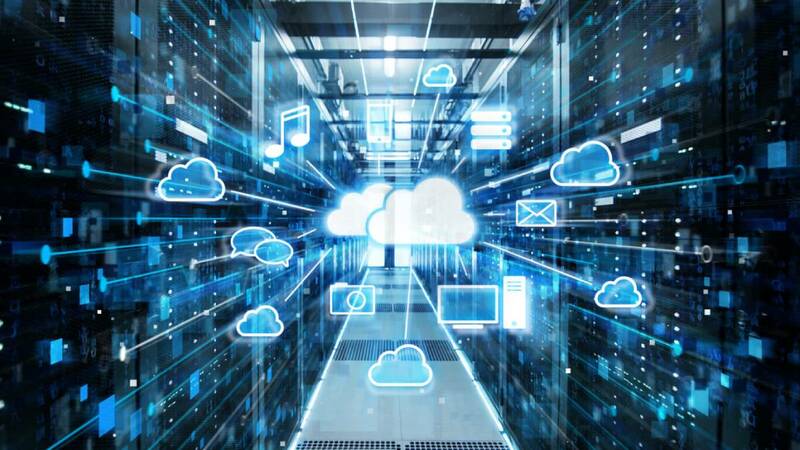 (Source: Forbes) Part of the appeal of cloud computing is its ability to support new and innovative business models and more globalized network infrastructure. A vigorous commitment to security, data privacy, and compliance by today’s biggest public cloud providers has also spurred adoption and helped ease concerns from early cloud adopters. The big three providers in the public cloud market continue to be Google Cloud Platform (GCP), Amazon Web Services (AWS) and Microsoft Azure. Let’s take a closer look at pros and cons of each cloud service provider. Who’s best suited for GCP? Many startups and nimble mid-size businesses are drawn Google’s cloud platform because of the company's openness and experience in containerized environments. The company’s open-source platform, Kubernetes, is a leading system for automating deployment, scaling, and management of containerized applications. It’s even been adopted and molded into offerings by AWS and Microsoft. For those companies look to build container applications, the Google cloud is often the first choice. The company also offers a lot of big data, BI, AI and machine learning. In fact, the company announced a service that allows customers to build their deep learning models by clicking a few buttons and uploading some samples. Supporting the AI revolution is Google's skilled in-depth learning programmers that are working hard to build a more user-friendly deep learning experience. Even though a point-and-click AI experience is far from a reality, those companies thinking along those lines today are more likely to select Google's cloud platform. Cons - Google has traditionally focused on the consumer market, so enterprise customers are sometimes hesitant to adopt. Because it has a smaller market share, it also offers fewer service options overall. And while it does support mission-critical workloads, it does not currently provide backup or archive services. Who’s best suited for AWS? As the global leader in the public cloud arena, AWS is often the go-to cloud option for large enterprises that run a lot of virtual machines in the cloud. Often seen as the ‘enterprise choice’ for cloud services, companies that gravitate to AWS are risk-averse and looking for a reliable, proven cloud partner that offers a broad menu of cloud services. The company also has a massive network of data centers around the world, spanning 50 Availability Zones (AWS’ word for coverage area) within 18 geographic regions around the world. Cons - Although Amazon is well equipped to handle any number of workloads, and it’s relatively simple to start using AWS, deploying more extensive applications with Amazon can require specialized skills. Cost is also an issue for those companies deploying many workloads in AWS. Who’s best suited for Microsoft Azure? Companies that already use an array of Microsoft technology are most prone to gravitate to the Microsoft cloud stack. That might include using Office 365, SQL, SharePoint or on-premises Windows Server clusters. Not only does Microsoft offer substantial contract discounts for customers that bundle several Microsoft products, but there are also synergies when launching Microsoft-enabled technologies in the Microsoft cloud. In 2016, Gartner named Microsoft as a leader for their IaaS, cloud storage services, and application PaaS options. (Source: Gartner) Another benefit of going with Microsoft is the company’s high-availability of services and security services. They are also making it easier to adopt a hybrid cloud model. The long-time-coming Microsoft Azure Stack will provide tighter control over private and public clouds and give on-premises environments direct access to public cloud services, including AI, databases, and analytics. Cons - Some report poor service from Microsoft’s cloud team regarding technical support, documentation and partner offerings. Not only that it also requires platform expertise to ensure all moving parts are working together efficiently. Azure needs to be managed and monitored carefully to ensure dollars aren't wasted over-provisioning cloud services. 2018 will be a big year for public cloud providers and an even bigger year for companies focused on enterprise transformation. Forrester predicts that we'll cross that significant 50% adoption milestone for cloud services in 2018. Analysts also see ‘cloud applications, platforms and services will change the way enterprises compete for customers radically..' (Source: Forrester). While it used to be that cloud computing was an alternative to stuffy, conventional IT management and a cheaper place to store and run applications, today it's seen as an innovation engine. Not only does today’s cloud give developers the freedom and convenience to spin up their servers and services to support innovation, but it also delivers security and compliance protections yesterday’s cloud services could not.